A new piece of mine was published today in The Mint, India’s second largest financial paper (and “a content partner of The Wall Street Journal“). I was commissioned to do the 100th edition of their weekly full-page (tabloid-sized!) 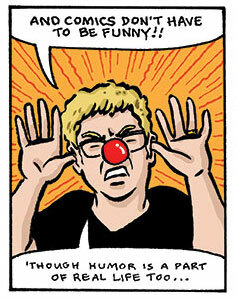 comic, “The Small Picture” —and the editor and I decided to do it about the field of comics journalism. The result, “Adventures in Comics Journalism,” can be read here.